It doesn’t matter if you are an Apple fan or not. If you are interested in technology and have ANY objectivity whatsoever, then you know that the above viewpoint is lazy, uninformed and just plain old biased. 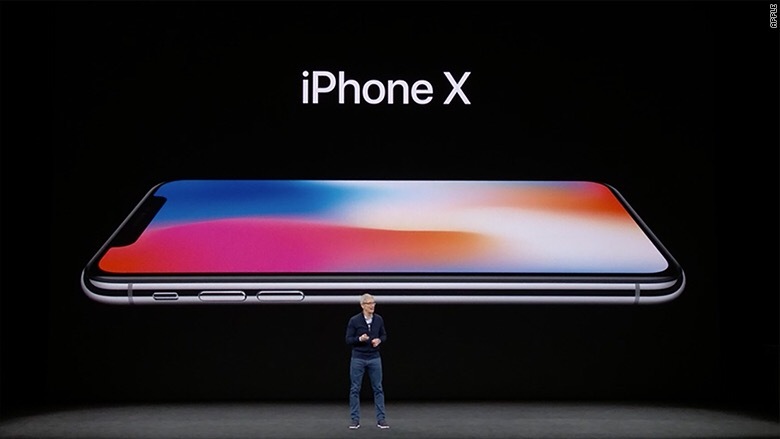 I’m not going to lie right now and tell you that Apple is always the most innovative company in the smartphone market, because even though I am an Apple fan, I know that such a statement is objectively false. However, it is just as incorrect and myopic to say that Apple is no longer capable of ANY innovation in the space. Taking such a stance ignores the fact that Apple has been able to perfect technologies first on MANY occasions. This, more than being first to market, is where Apple’s reputation in mobile technology is built. Apple did it in the past with things like the best early implementation of multi-touch, the best early high resolution display, the best early exterior industrial design, the best early fingerprint sensor, and the best early phone-based payment system. We saw more examples of this today, with Apple’s investments in Augmented Reality and with their new Face ID technology. If you want to try and bring up Google Tango and Samsung’s and Microsoft’s feeble attempts at facial recognition, don’t bother. Apple’s ARKit will leave Tango in the dust because it is far more accessible, and FaceID is just better technological implementation than existing smartphone face detection systems. We will have to see it in the field to get a feel for the reliability in day-to-day use, but the specs are what they are. While Apple was able to excel in many component areas earlier in the career of the iPhone, the fact is that they don’t control the vast majority of these components. At this point, these are mostly commodity items. Every phone manufacturer is using the same gear from the same vendors, by and large. The only way for a smartphone manufacturer to stand out is to take more control of their supply chain. THIS is where we see that Apple still has the ability to innovate, even today. Look no further than the new A11 Bionic chip that was announced earlier today as evidence of this. If you don’t believe me, take it from an Android guy. Ben Schoon of 9to5Google published a piece earlier today entitled, Apple’s latest iPhone chipset blows away every Android device, and that’s a little depressing. The benchmark numbers don’t lie, and hats off to Mr Schoon for telling it like it is. There is no doubt that there are plenty of areas where Android smartphones have spec advantages over any iPhone, even the coming iPhone X. You will never catch me saying otherwise. However, the A11 Bionic proves Apple still has it where it counts. This isn’t some little sideshow feature that doesn’t have an impact on the user experience. The processor is the bedrock feature of every smartphone. If you take the time to read Mr Schoon’s article, you’ll see that Apple leading the way as a chip designer isn’t actually new. They have established themselves as the top developer of mobile chipsets in the industry. The A11 Bionic just builds on what they have been doing for several years now. Why is Apple excelling in mobile processors, do you ask? Because they OWN this area of the iPhone. Apple bought PA Semi in 2008 and released their first in-house processor, the A5, in 2011. It’s been a hockey stick curve upward in increased power and efficiency since then. Apple’s control over both the design and the components allows for software integration that no other smartphone manufacturer can match. Apple is the only company that owns the entire stack from processor to OS. Apple’s innovation in the mobile chip space isn’t relegated to the iPhone, either. Take a look at their industry-leading Apple Watch and its latest S3 processor and new W2 wireless chip. Think about the W1 chip in the AirPods and how easy it makes Bluetooth pairing and operation across all of a user’s Apple devices. Chip design and integration is an area where Apple isn’t just innovating anymore. They are lapping the field. Apple’s ability to do this also isn’t restricted to processors and wireless chipsets. We saw the same kind of innovation from Apple in fingerprint authentication. We saw it because Apple bought biometric specialists AuthenTec in 2012. Again, they brought a key piece of their architecture in-house and and used that control to shape a better and more reliable experience. Now Apple is releasing facial recognition technology that they brought in-house with the purchase of RealFace. They have also taken over development of their own GPU, which is specifically designed to strengthen their efforts in photography, in AR with ARKit, and even in AI with Core ML. As it has for several years now, Apple pours its efforts into the areas of their hardware and software that they control. Today’s display was no different. It was simply a reflection of an expanding field of areas where Apple has taken complete ownership of its own destiny and benefited from it. As an Apple fan, I sincerely hope that they will continue to absorb more features and more parts of their device supply chains so that we continue to see more of Apple’s strength- innovation on their turf and on their terms.